This was supposed to actually be a very small rom hack but It got too ambitious and I ran out of time, so instead, here are the graphics I had mostly finished for that project. The idea was based after the Fall of Guardia, we the player would control Lucca. In the first chapter we would be able to explore the Porre dominated Zenan and Lucca would have her falling out with Lynx and end up in the kingdom of Zeal, pre its rise. It would have a young king and queen Zeal and perhaps a baby Schala. The kingdom would still be in the sea and frozen before it rose. I actually even began some minor editing in TF for 1000 A.D. But that's all that's been inserted just a broken Guardia castle, broken down Truce, and a less balloon filled Leene Square. The plot was going to go with somehow Lucca messes things up, and when Zeal does rise, it never falls like it is supposed to, which messes up the time stream. Though honestly, I think I just wanted to see a Kid like Schala and a teen Magus. I also did some edits to Lucca's sprite, to match how she looked in the cut scene when she finds Kid at the end of the playstation version. Though I didn't get a chance to finish it yet. That looks pretty cool. Let me know if you want some help on completing it. Holy cow! That sounds awesome! I would love to see this premise worked through and put out. I can't help with any game dev, but I could help out with music if you get that far. Awesome work though, that would be an awesome spin off project! I love this idea! Great work! 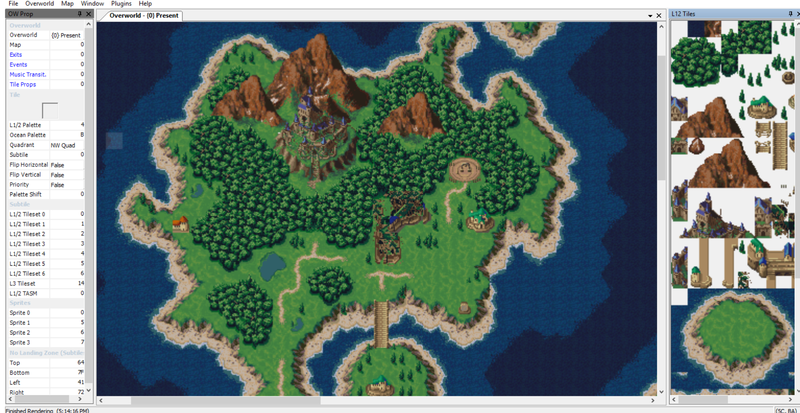 Also, I know it's stated to be WIP, but I can't help but laugh that the town is ruined... but Crono's and Lucca's houses are totally fine. 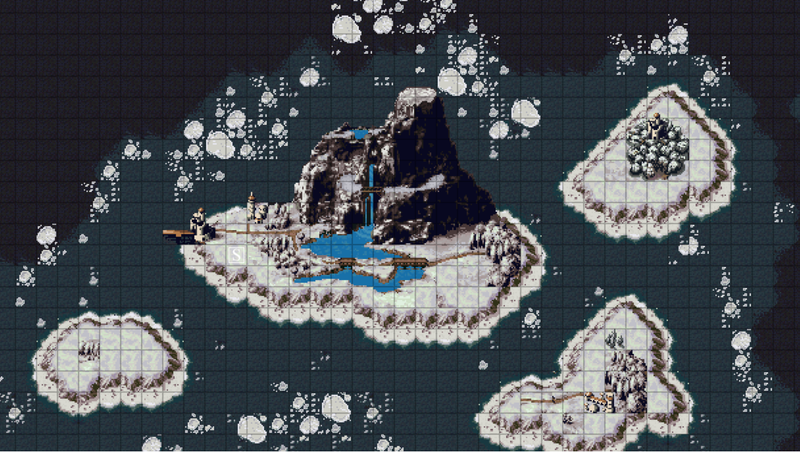 Okay, the latter is isolated enough, perhaps, but with Crono's there'd be like no excuse. .....give that teenage Janus sprite black clothing, red cloak, brown hair and eyes, and that would be an accurate depiction of my character for Reflections. I didn't realize how much I needed 1020 A.D.'s overworld in my life until now. Your spritework is always amazing. Thanks Mauron! Maybe!? I'm not sure!? Probably! I went back to the earliest version of the hack I had and it's still there. 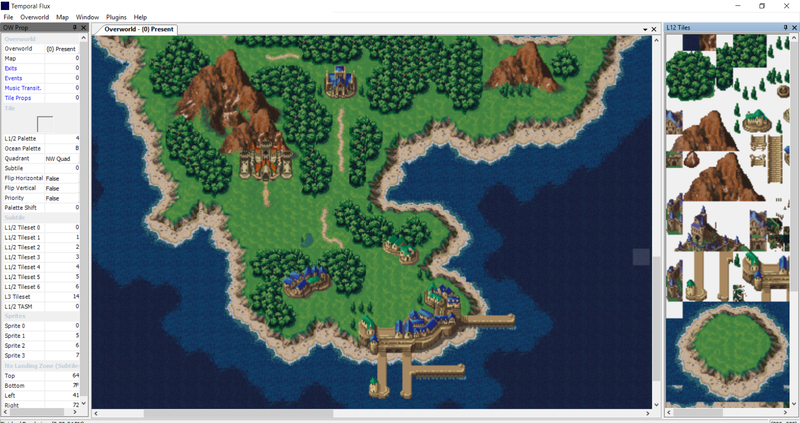 I think it's Marle's overworld sprites, I have no idea what I did or why it replaced the boat with that? I think it might have replaced the balloons too. My hesitance with completing this is I really want to put my energies towards a bigger project, but I don't think a bigger project is being worked on right now? Like if Kajar labs was working on something I'd love to help on that, but near as I can tell its all little individual projects right now, so why not work on my own and help others with their individual little projects as well? I'll bug you with my relentless questions xD (if you don't mind). Haha fair enough! I figure at least Lucca's house survived because she ends up running an orphanage, but yeah, Crono's house is probably toast. I just don't want to kill Gina *sniff*. ALL BROKEN! I also forgot to mention it but that little path from the broken part of truce leading to the woods would totally have been a path to a rebel guardia hideaway in the forest behind the destroyed Guardia castle. speaking of the destroyed Guardia castle, I completely forgot to mention that Boo made it, not me! I have no credit for that awesome destroyed castle besides putting it in the rom! It was made for another rom hack that I'm not sure will ever see the light of day a few years ago. Ahh using 600 A.Ds palette would be perfect! If/when I finish this I'm totally doing that thank you! if it were more like FF6 my life would be so much easier! Did you change the Overworld Sprite packets? It looks like the boat sprite got replaced, and it's trying to load something else in VRAM now. Assuming you haven't modified anything in the overworld events, try deleting the commands at , , [047C], and . They should all be boat related AddObject commands. I feel like the biggest thing at the moment is the thing over at Verve. I've got a tiny hack going that should be done soon, and I'll be back to that project afterwards. IHBP released his Chrono Trigger+, and I think Zakyrus plans to continue work on his Chrono Trigger+ too, after some video tutorials. Feel free to bug me about any questions you have. Depending on the questions, they may result in new plugins or features to existing plugins. Technically, it would be flashback Cain, as his post-Zeal look is totally different. Should've made that clearer, but YES! This is perfect! Edit: Aww. Didn't quote the sprite page. Oh well. Edit of Edit: That reminds me. I need to repost that Pre-Fall Cain and Schala pic. I colored the characters a while back.